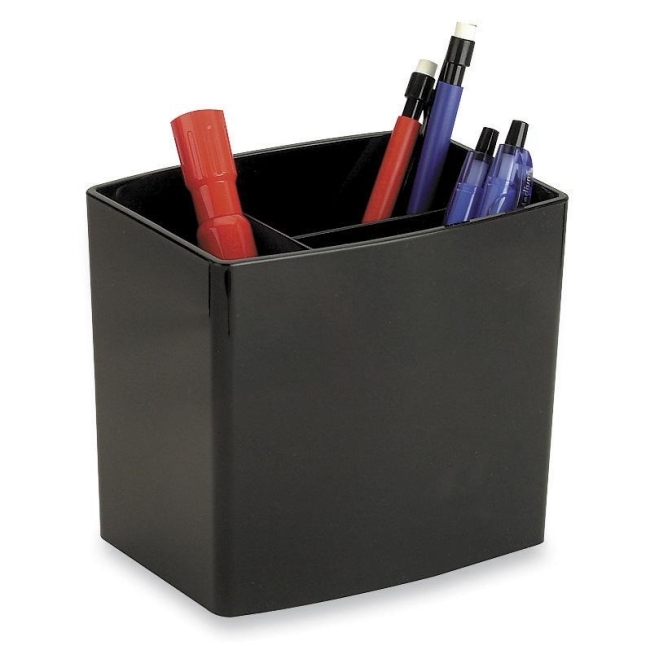 Large pencil cup features a stylish, contemporary look with smooth, rounded lines and polished surfaces. Design features three stepped compartments and a nonskid base. Pencil cup is made of heavyweight plastic.